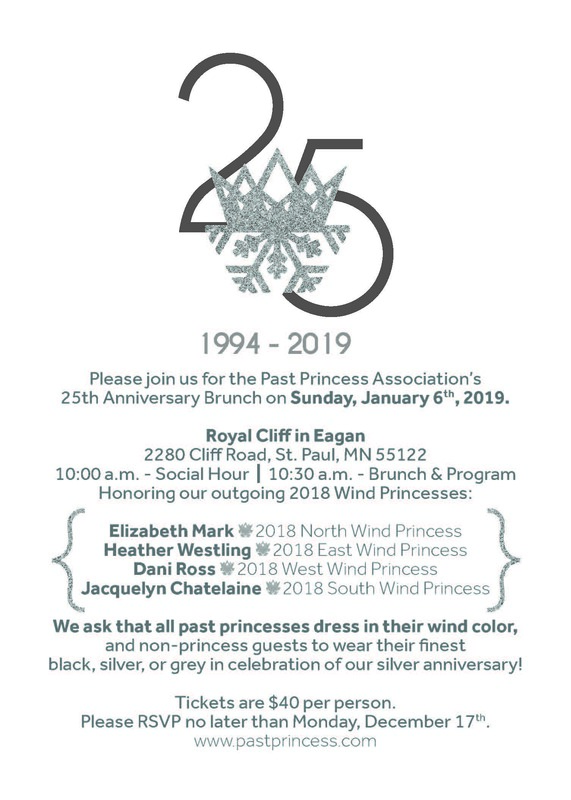 Admits (1) one to the Past Princess 23rd Anniversary Brunch in January, 2019. Note: There is a $1.50 online service fee included in the cost for each ticket. When ordering your ticket, please select whether you'd like the breakfast option or the lunch option. Also please include your seating preferences. Please inform us of group affiliation or individuals you would prefer to be sat with if possible. We cannot guarantee to honor seating requests.